Ongoing deal, never expires. Last validated 2d ago . Used 432 times. @erose114 Deal does not work, maximum number of users have used this code and reached its limit. See screenshot. 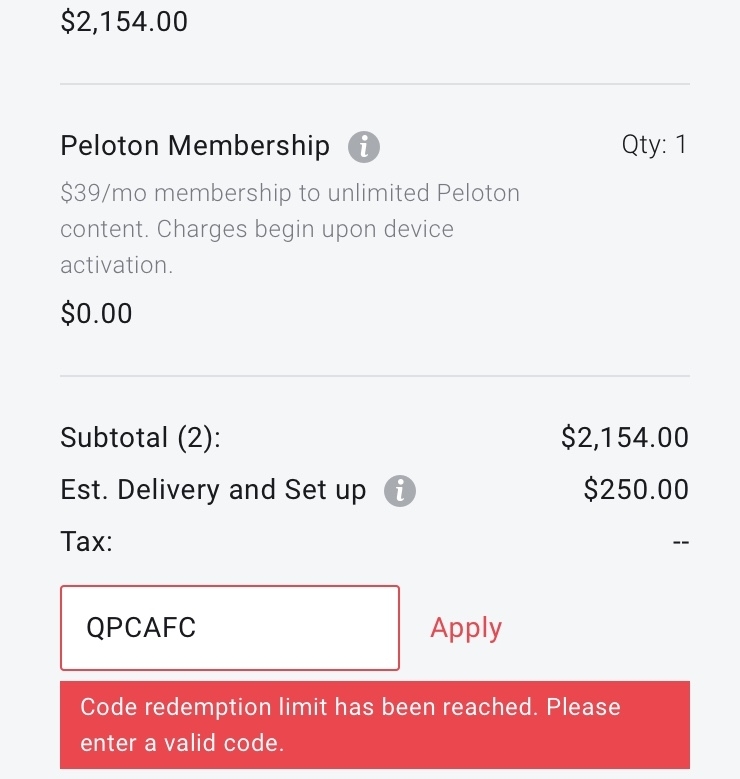 @danhla $100 off Bike Accessories with purchase of Bike at Peloton Cycle. 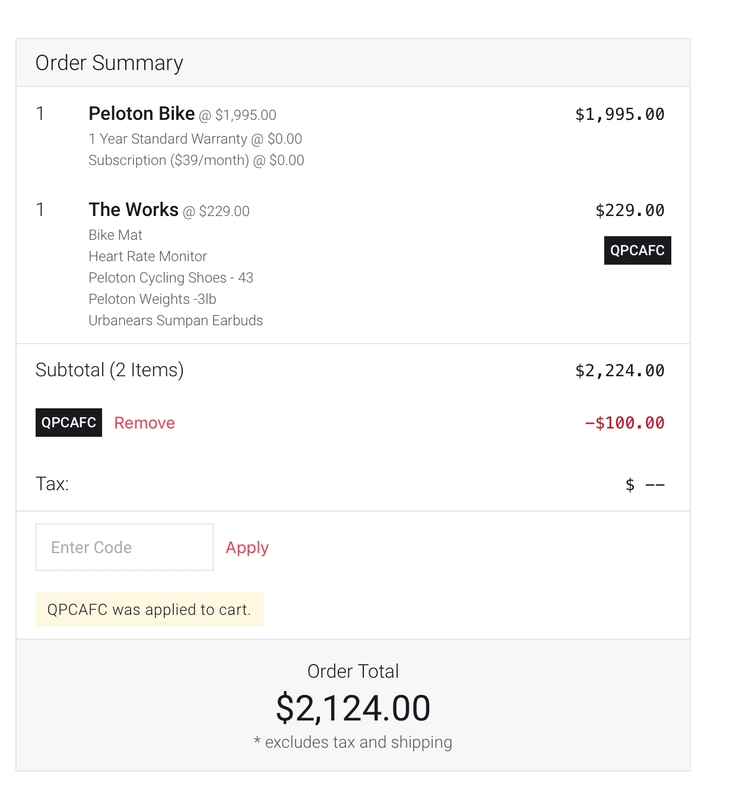 Check out with Bike and Accessories and apply the promo code.